Here we'd like to show you the most important iPad's function. If you didn't used any Apple devices before - this manual it's for you. Turn on the iPad - hold sleep/wake button until Apple logo appears. Turn off the iPad - hold sleep/wake button for 5 sec. and slide to power off. 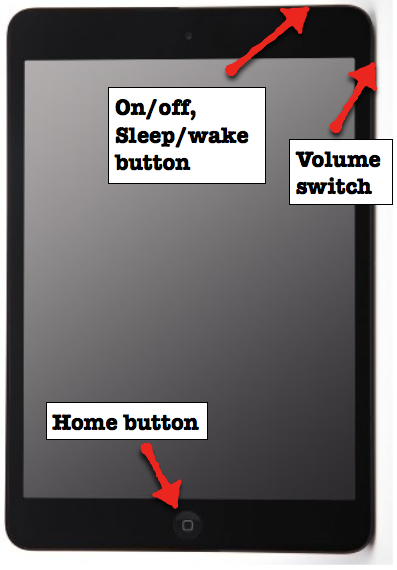 Lock the iPad - press sleep/wake button. Unlock the iPad - press home button or sleep/wake. 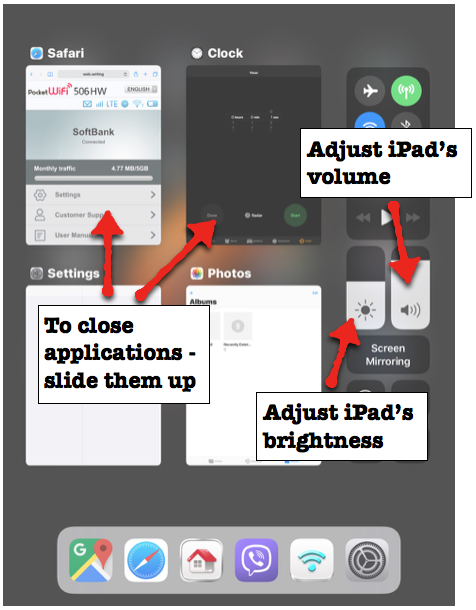 Reset the iPad - hold in the same time home button and sleep/wake for 7 sec. Reset the iPad when it stop working properly. Screenshot - press home button and sleep/wake in the same time. The Control Center (picture below) - double click at home button to open it. Close active apps - in the control center you have open apps view. To close them slide each applications up. Use this technique especially when applications stop working properly.